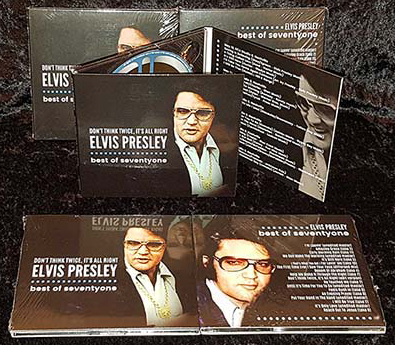 A great new cd packed in a 6 panel digipack with some of Elvis' best 1971 recordings (minus the christmas and live recordings) is available now. A fantastic collection with lots of rare and hard to find outtakes. All unreleased in this form. Don't think twice.... get it now!